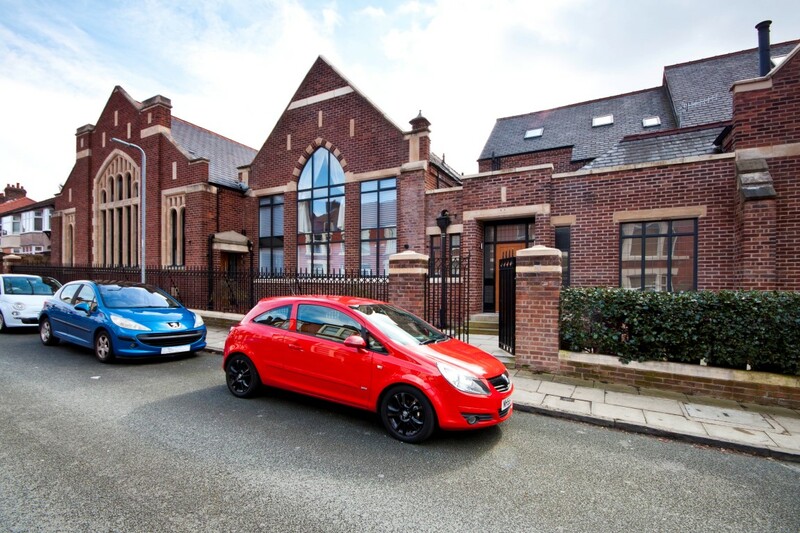 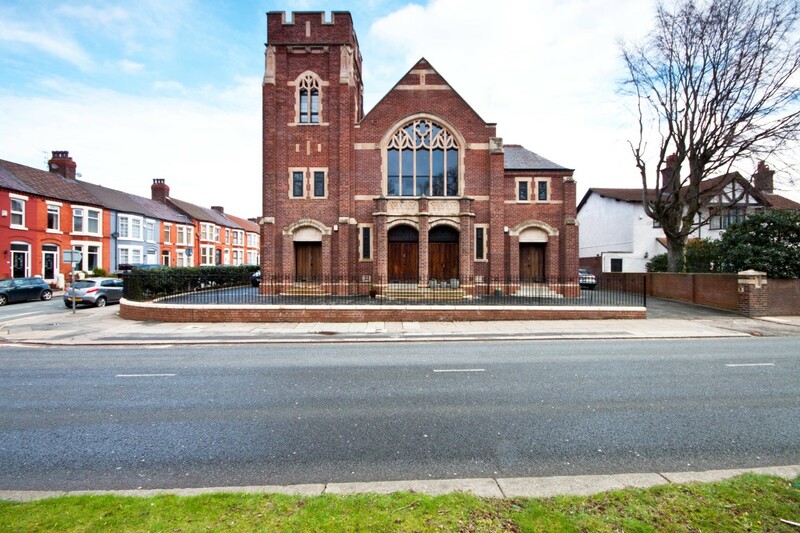 We are delighted to offer for sale this two bedroom ground floor apartment situated over two floors in this unique and beautiful church conversion. 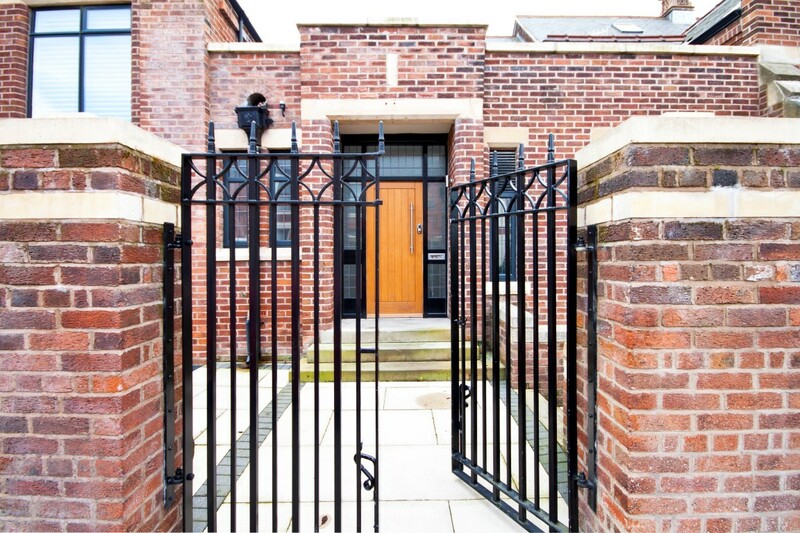 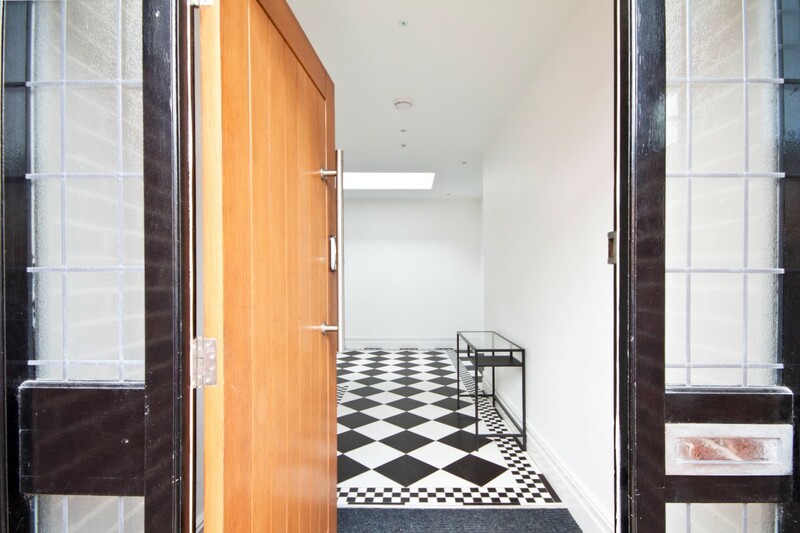 The former church has been lovingly restored and converted both internally and externally with attention to detail being paid to the restoration of many of the key elements of the existing building. 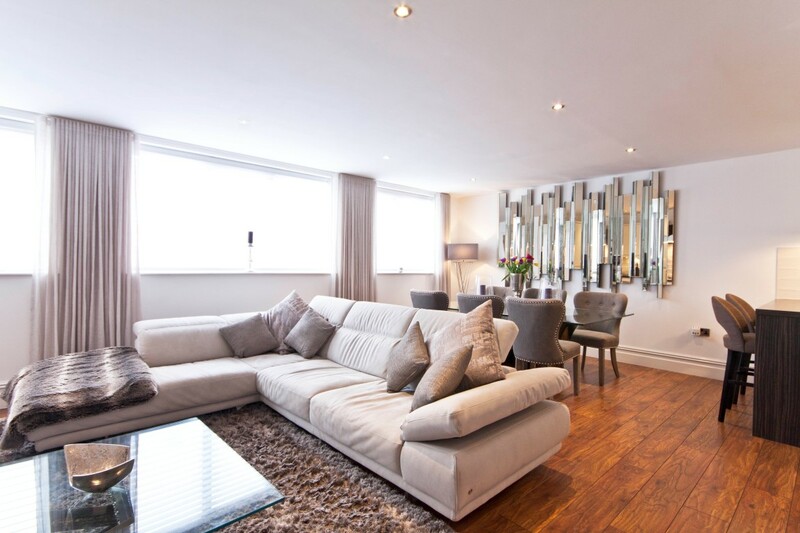 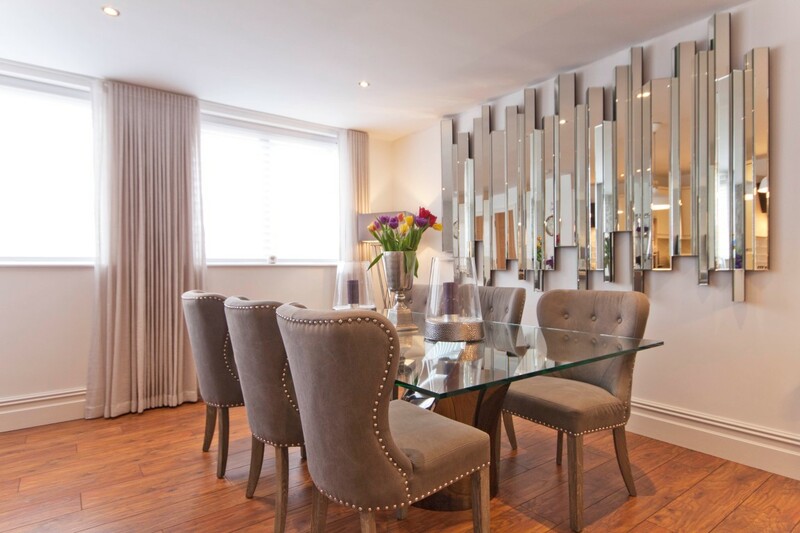 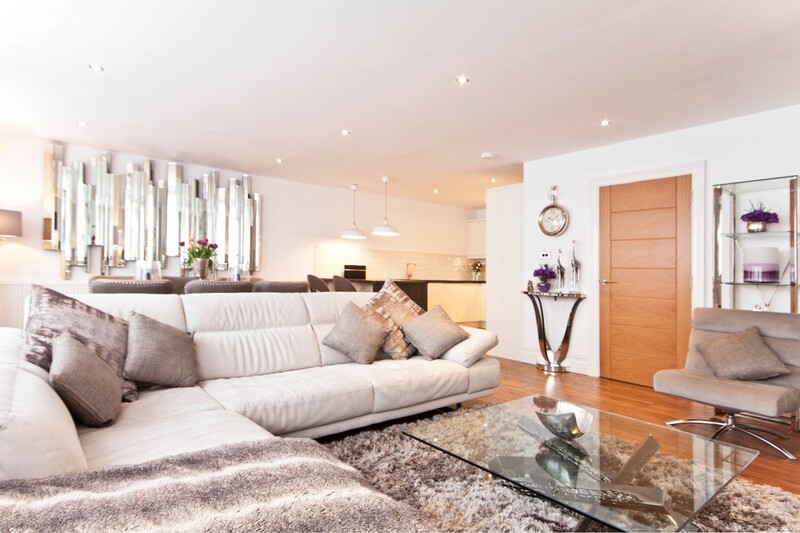 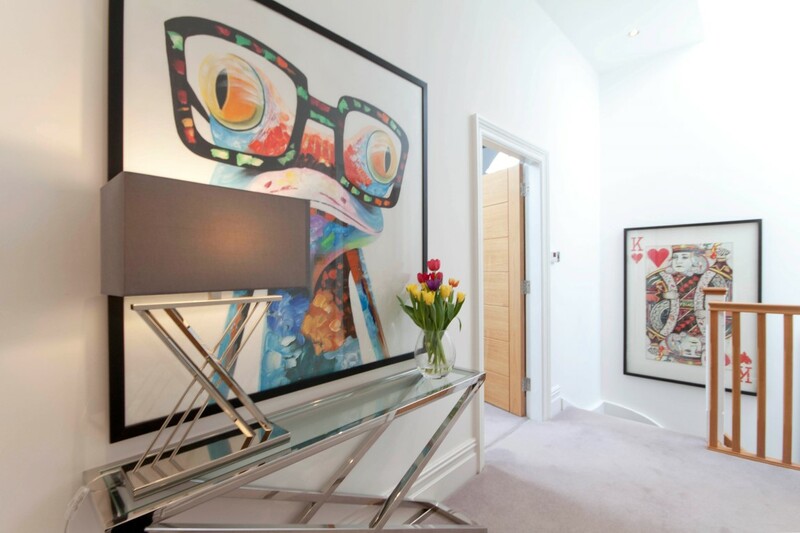 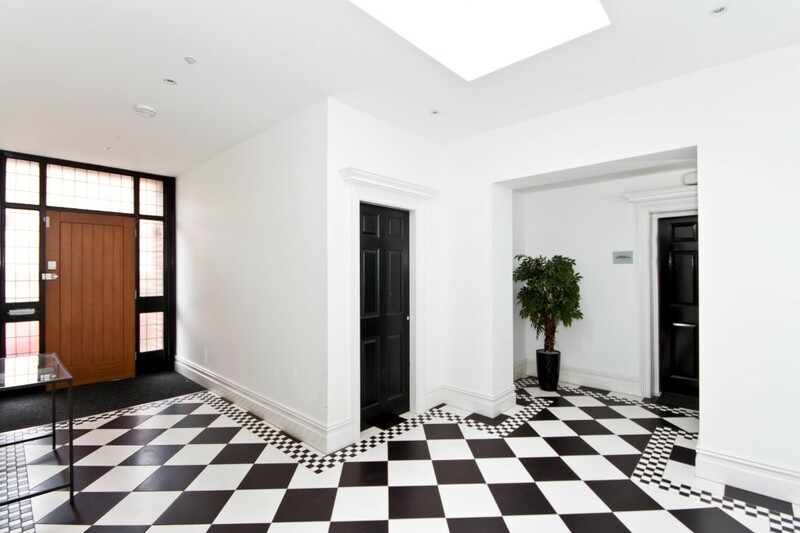 The apartment briefly comprises; communal hallway which sets a precedent for the remainder of the property, a welcoming reception hall, open plan living area combining lounge, dining room and open plan kitchen area. 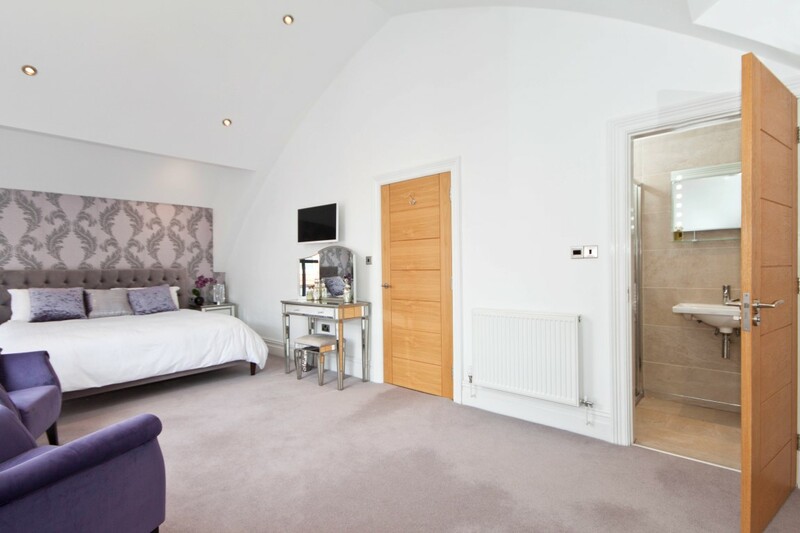 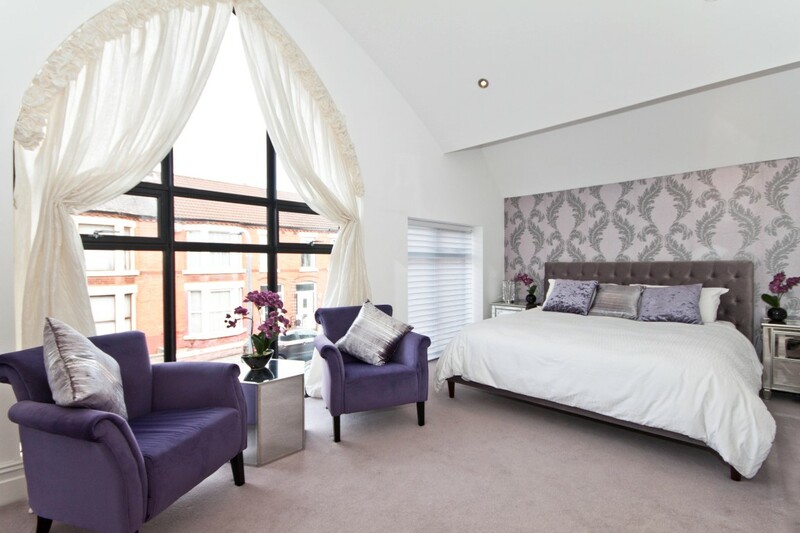 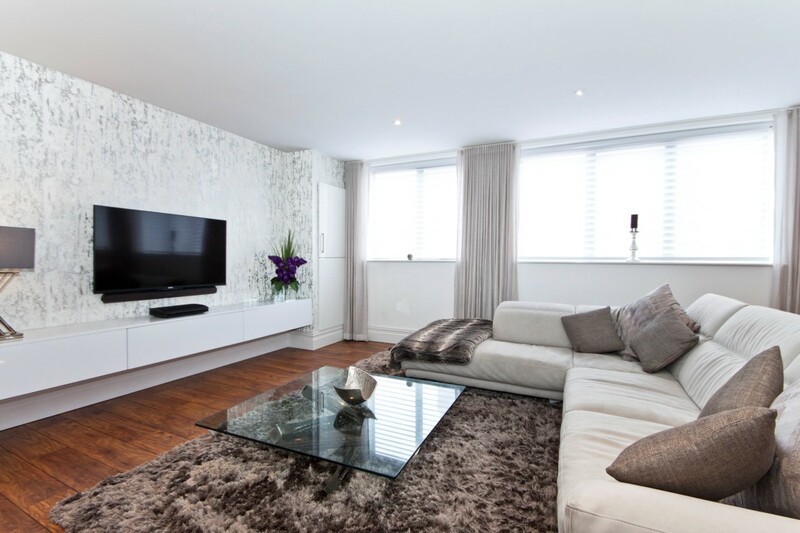 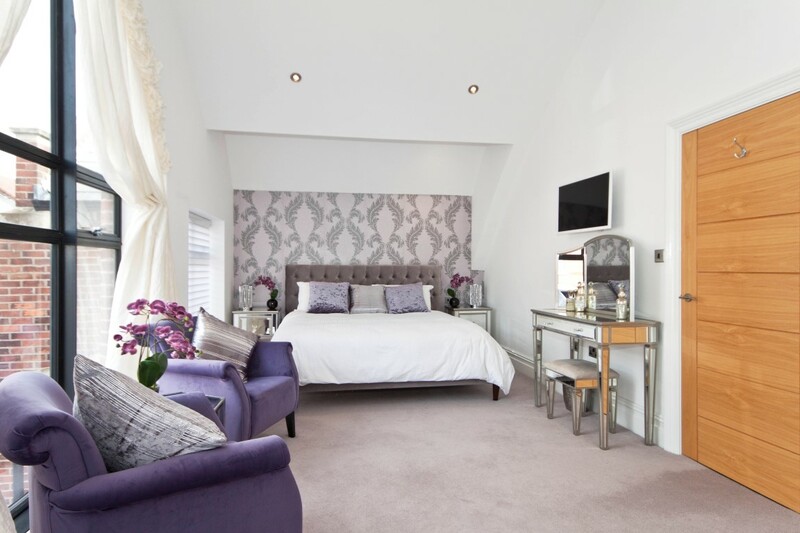 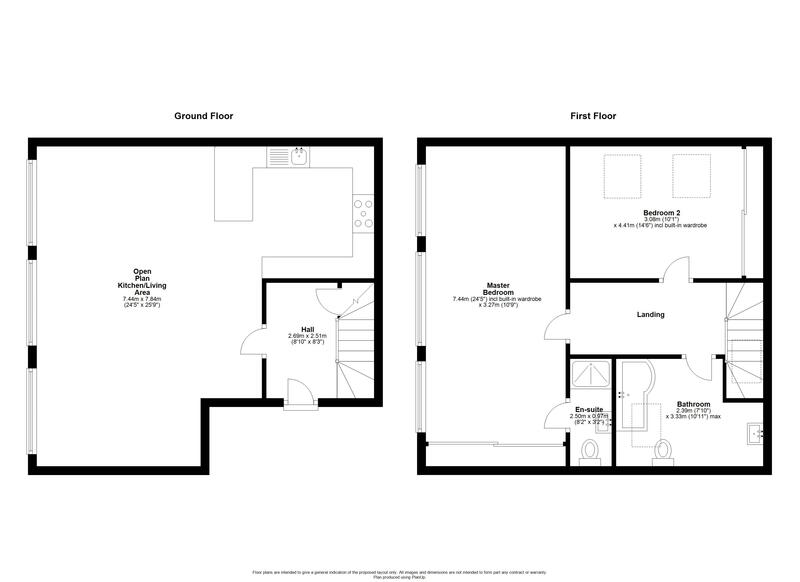 To the first floor there are two double bedrooms with en-suite to master bedroom and a family bathroom. 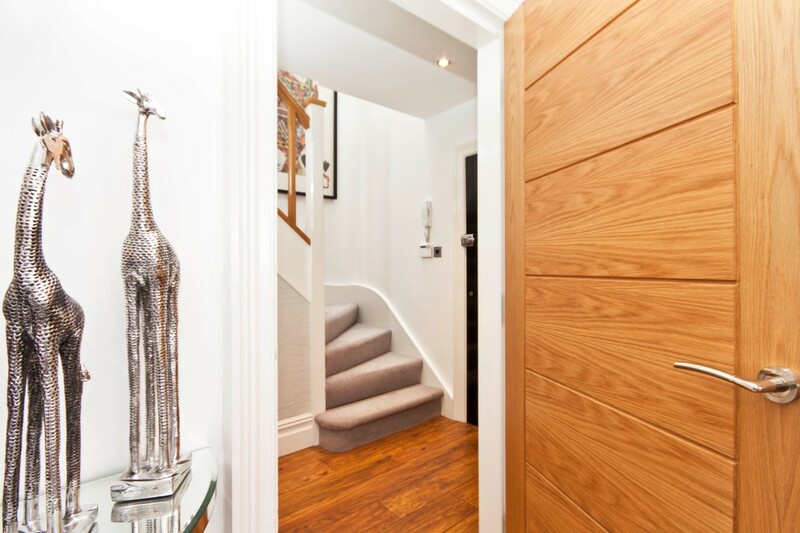 Stairs to first floor, storage cupboard, wood laminate flooring and radiator. 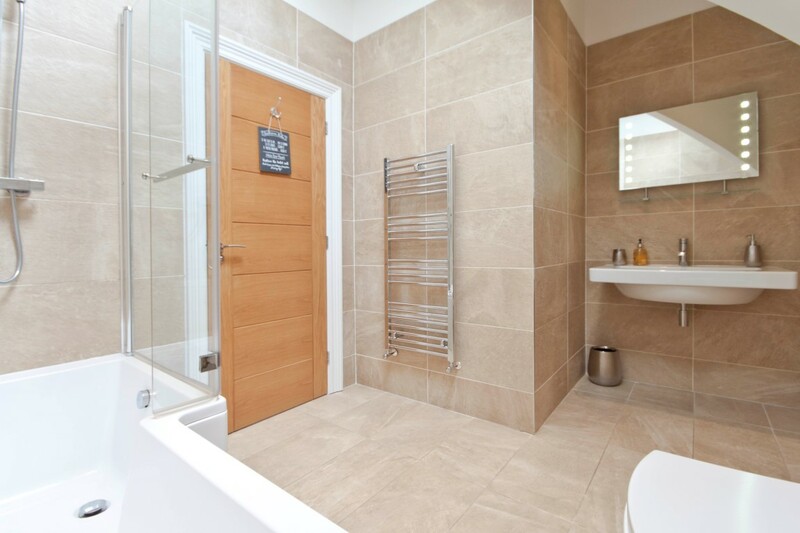 Wood laminate flooring, built in cupboard housing boiler, windows to the side aspect and radiator. 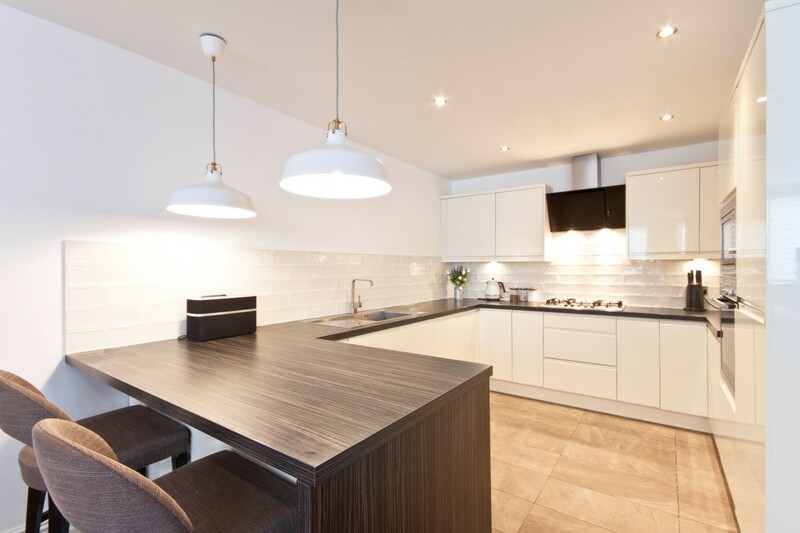 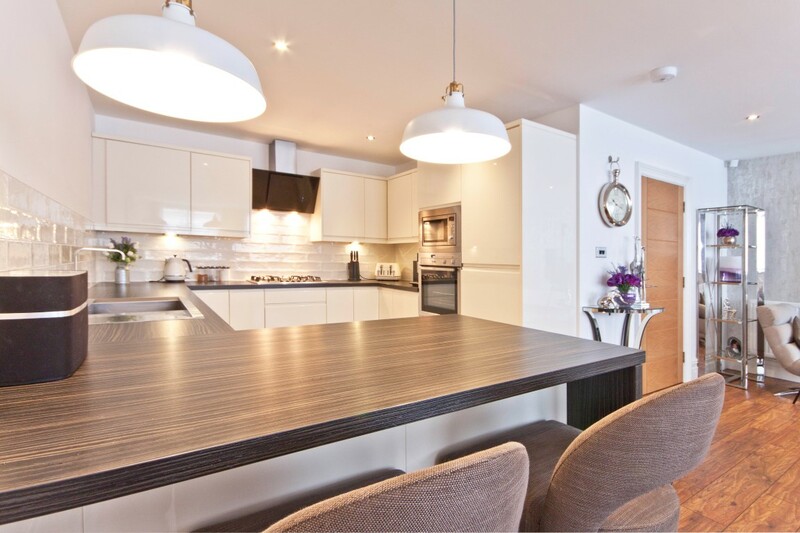 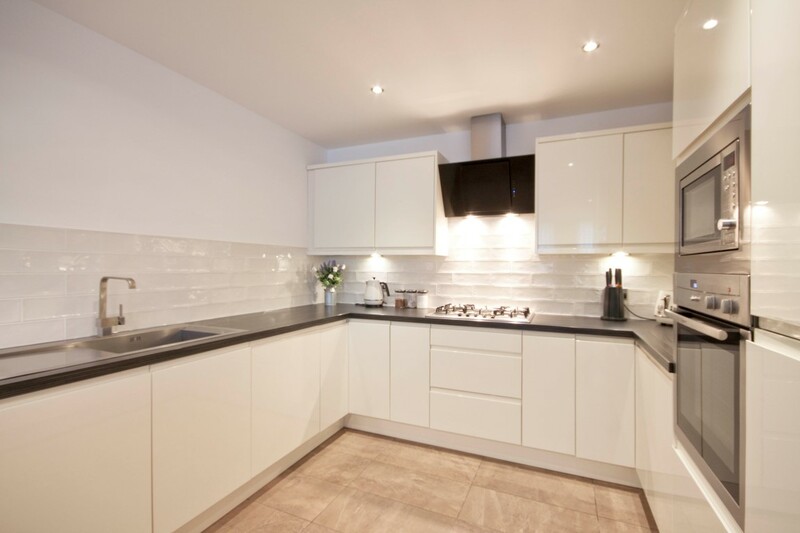 A range of white gloss wall and base units, wood effect laminate work tops, breakfast bar, tiled splash back, extractor hood gas hob and oven, tiled flooring, sink with mixer tap, built in microwave, fridge/freezer washing machine and dishwasher. 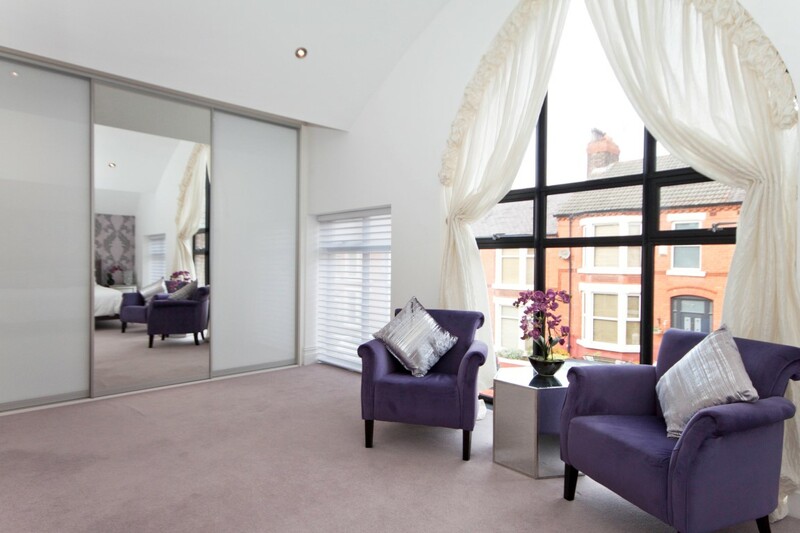 Large feature windows to the side aspect, carpet flooring, built in wardrobes, radiator, spotlights and access to en suite bathroom. 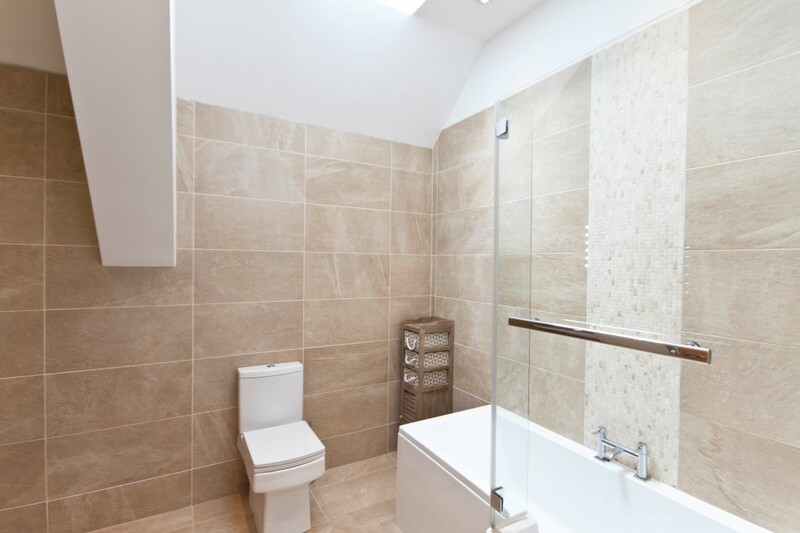 Shower cubicle, floor to ceiling tiles, W.C, hand wash basin, extractor fan and chrome towel rail. 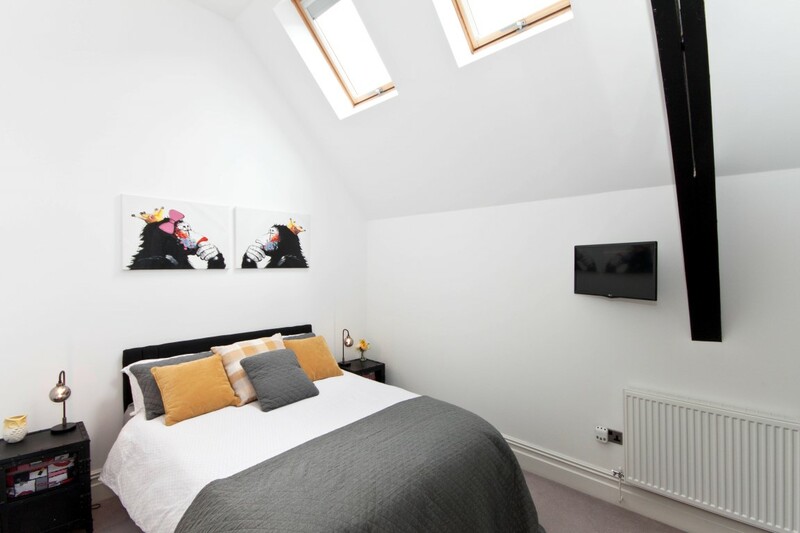 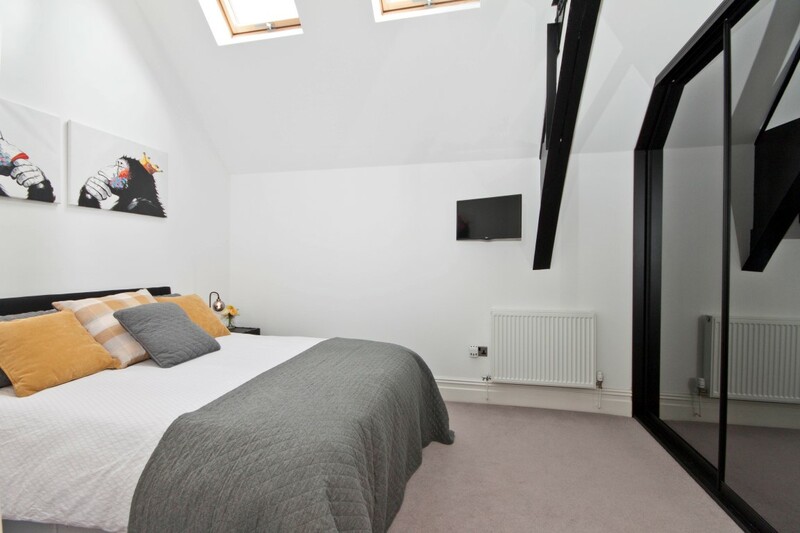 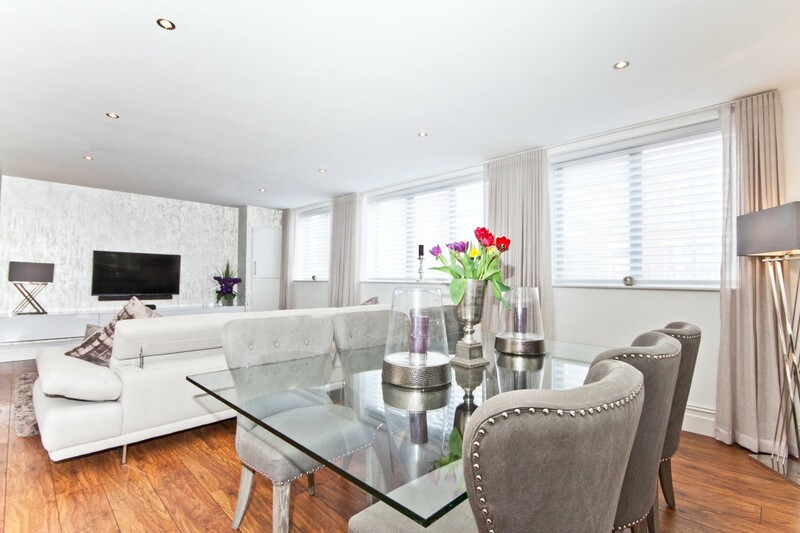 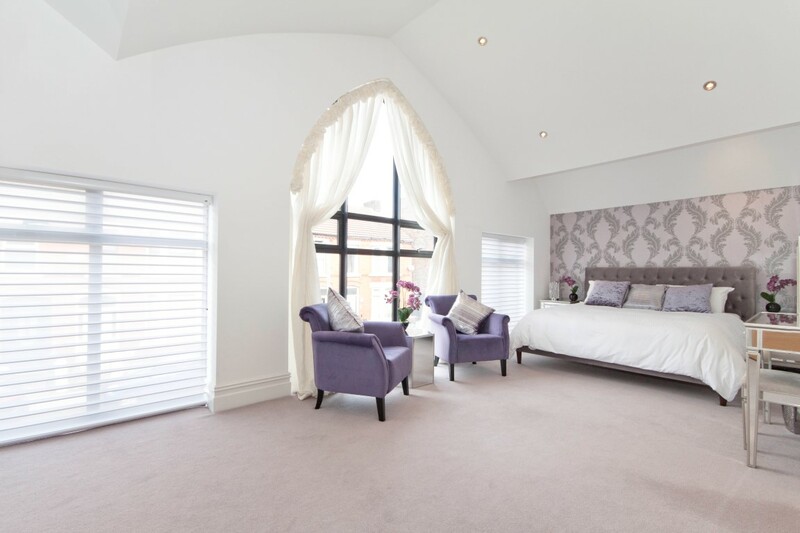 Built in wardrobes, carpet flooring, two sky lights, radiator, spotlights and exposed beams. 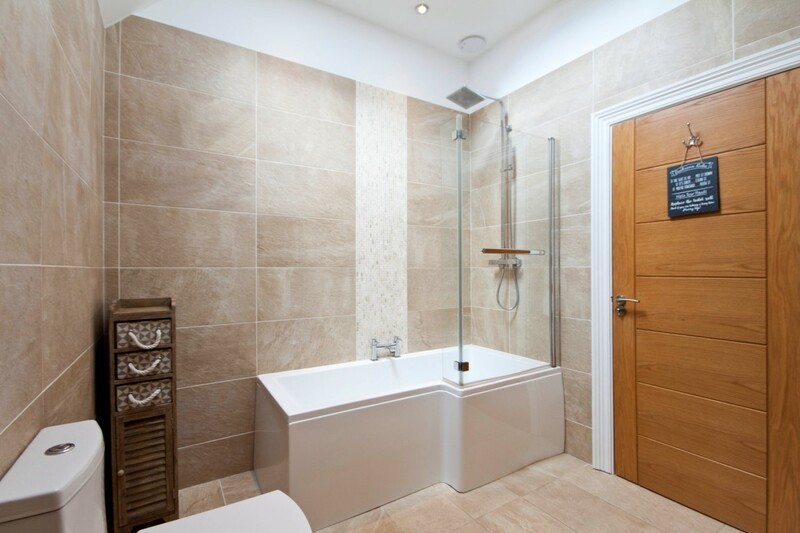 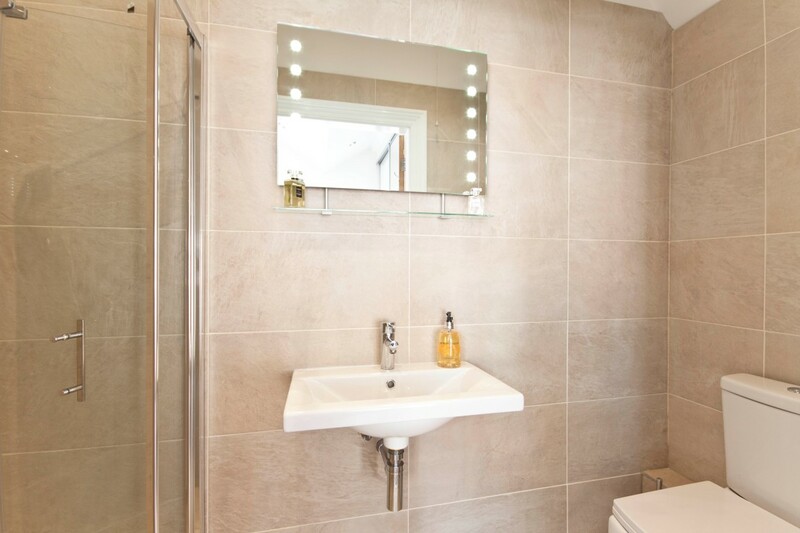 Floor to ceiling tiles, waterfall shower over bath, W.C, chrome towel radiator, hand wash basin and sky light.